The Bourbon Reforms (in Castilian: Reformas Borbónicas) were a set of economic and political legislation promulgated by the Spanish Crown under various kings of the House of Bourbon mainly in the 18th century. The strengthening of the crown's power with clear lines of authority to officials contrasted to the complex system of government that evolved under the Hapsburg monarchs. In particular, the crown pursued state supremacy over the Catholic Church, resulting in the suppression of the Society of Jesus in 1767 as well as the attempt to abolish ecclesiastical privilege (fuero eclesiástico). The reforms resulted in significant restructuring of the administrative structure and the composition of its personnel. 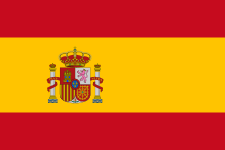 The reforms were intended to stimulate manufacturing and technology to modernize Spain. In Spanish America, the reforms were designed to make the administration more efficient and to promote its economic, commercial, and fiscal development. The crown did so, hoping that it would have a positive effect on the economy of Spain. Furthermore, the Bourbon Reforms were intended to limit the power of Creoles and re-establish Spanish supremacy over the colonies. The reforms achieved mixed results administratively but succeeded in alienating the local elites of the Americas (which called themselves Creoles) and eventually led to the demise of all overseas dominions of the Spanish crown. At the end of the 17th century, Spain was an ailing empire, facing declining revenues and the loss of military power, ruled by a weak king, Charles II of Spain, who left no successor. Even before his death in 1700, the European powers were already positioning themselves to see the noble house that would succeed in placing its candidate on the Spanish throne and gain its vast empire. Louis XIV of France asked for and received the Pope's consent for his grandson, Philip of Anjou, a great-nephew of Charles, to ascend the throne. On his deathbed, Charles willed the crown to the French-born successor, but an international conflict ensued, the War of the Spanish Succession. After the war, Spain had to surrender some of its European territories and grant the monopoly of the valuable African slave trade with the Americas to England. 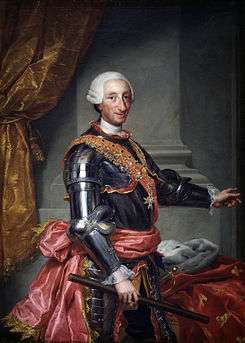 Philip V of Spain, the first king of the House of Bourbon, took measures intended to counter the decline of Spanish power. Even before the war, the state of the empire was precarious. When Charles II died, the military was practically nonexistent, consisting of only one division; the treasury was bankrupt; and there was no state promotion of commerce or industry. Philip V and his ministers needed to act quickly to reconstruct the empire. Palacio de Mineria, Mexico City. The crown sought to make silver mining more productive and the silver magnates ennobled; it created the College of Mines and the Royal Mining Court. In Spanish America, José del Campillo y Cosío's Nuevo Sistema de gobierno económico para la América (New System of Economic Government for America) (1743) was a key text that shaped thems. He compared the colonial systems of Britain and France with that of Spain, as the first two nations reaped far greater benefits than Spain. He advocated reforming Spain's economic relations with its overseas territories to a system more like mercantilism of France's Jean-Baptiste Colbert (1619-1683). 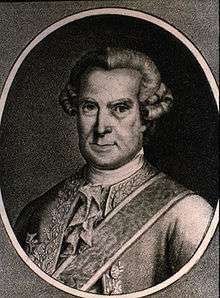 The bulk of the changes in Spanish America came in the second half of the 18th century following the visita general (general inspection) of New Spain (1765-1771) by José de Gálvez, who was later named Minister of the Indies. The reforms attempted in New Spain were implemented elsewhere in Spanish America subsequently. There had been one earlier reform in the creation of the new Viceroyalty of New Granada (1717), carved out from the Viceroyalty of Peru to improve the administration of the overseas possessions. The new viceroyalty was created initially in 1717, suppressed just six years later, and finally permanently established in 1739, still earlier than the reforms of the late 18th century. It was an administrative change that reflected the recognition (as early as the 16th century) that the northern area of South America had certain challenges of distance from Peru. There had been earlier creations of captaincies general in Guatemala and Venezuela marking an increase in importance. In 1776, a second jurisdiction, the Viceroyalty of Rio de la Plata was also carved out of the Viceroyalty of Peru in 1776 as part of José de Gálvez's comprehensive administrative reform. In the same year, an autonomous captaincy general was also established in Venezuela. With regards to the economy, collection of taxes was more efficient under the intendancy system. In 1778, Charles III established the "Decree of Free Trade," which allowed the Spanish American ports to trade directly with one another and most ports in Spain. Therefore, "commerce would no longer be restricted to four colonial ports (Veracruz, Cartagena, Lima/Callao, and Panama)." Tax reductions were given to the silver mining industry. Tobacco proved to be a successful crop after state monopolies were expanded. Also, many of the colonies began to produce an abundance of resouthat, which became vital to many European powers and the British colonies in North America and the Caribbean despite the fact that most of this trade was considered contraband since it was not carried on Spanish ships. Most of the Bourbon kings tried to outlaw this trade through various programs like increasing the customs receipts, with little avail. Though the legislation passed by the Bourbons did much to reform the Empire, it was not enough to save it. The racial tensions continued to grow and there was still massive discontent, the most important of which were the Rebellion of Túpac Amaru II and Revolt of the Comuneros. The discontent led many people to unite and lead several revolts. Criollos, Mestizos, and Indians were among the most common to be involved in such resistance movements. Over time, these uprisings led to the fight for the independence of the American colonies. ↑ James Lockhart and Stuart B. Schwartz, Early Latin America. New York: Cambridge University Press 1983, p. 347. ↑ N.M. Farriss, Crown and Clergy in Colonial Mexico. London: Athlone 1968. ↑ James Lockhart and Stuart Schwartz, Early Latin America. Cambridge: Cambridge University Press 1983, p. 347. ↑ "The Bourbon Reforms" Archived October 26, 2015, at the Wayback Machine. ↑ Skidmore, Thomas E. and Peter H. Smith. Modern Latin America. Oxford: Oxford University Press, 2005. ↑ "Memoria chilena" Archived March 12, 2007, at the Wayback Machine.. Las reformas borbónicas (1700–1788). ↑ D.A. Brading, Miners and Merchants in Bourbon Mexico, 1763-1810. Cambridge: Cambridge University Press 1971, p. 27. ↑ Brading, Miners and Merchants in Bourbon Mexico, pp. 33-94. ↑ Brading, Miners and Merchants in Bourbon Mexico, p. 34. ↑ James Lockhart and Stuart Schwartz, Early Latin America. Cambridge: Cambridge University Press 1983, p. 348. ↑ "Reformas Borbónicas en el Virreinato del Río de la Plata" Historia Argentina-Planeta Senda. ↑ Burns, E. Bradford and Julie A. Charlip. Latin America: An Interpretative History. Upper Saddle River, New Jersey: Pearson Education Inc., 2007. ↑ Merrill, Tim L. and Ramón Miró, editors. "Road to Independence", Mexico: A Country Study. Washington: GPO for the Library of Congress, 1996. ↑ "History of Latin America". Encyclopædia Britannica Presents Hispanic Heritage in the Americas. ↑ Crow, John A. The Epic of Latin America. Berkeley: University of California Press, 1980. ↑ Gómez Alarcón, Arturo. "Las Reformas Borbónicas en el Perú" Archived October 28, 2005, at the Wayback Machine.. 2005, Historiaperu.bitacoras.com. Lynch, John.. Spanish Colonial Administration, 1782-1810: The Intendant System in the Viceroyalty of the Río de la Plata. London, Athlone Press, 1958.